Imagine what the world will be like in 20 years if students learned programming and robotics in elementary school today. 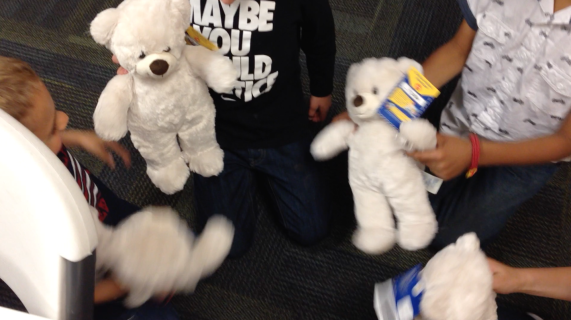 We teach elementary and middle school students college-level robotics with robotic teddy bears! Students learn Arduino programming, basic circuits, and get to build and take home their very own hugging, walking RoboBear! 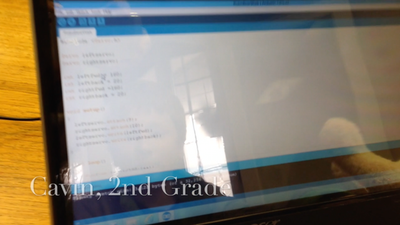 Learn how to build RoboBear in a class with a RoboBear Teacher! ​Upcoming RoboBear Workshop at Cogswell College San Jose CA June 11th! 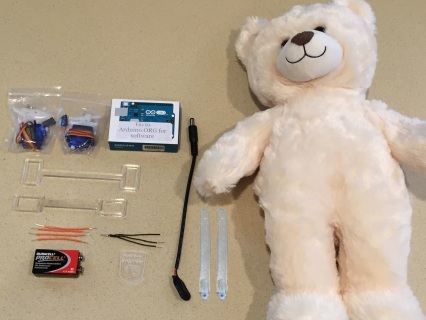 Register For An Upcoming RoboBear Workshop! 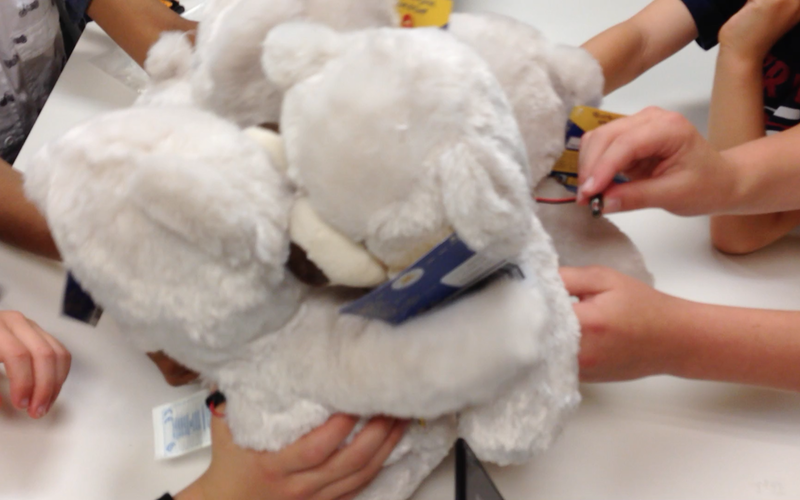 Learn how to build a hugging RoboBear in class with a RoboBear Teacher! Open to 1st-8th Grades. 3 Hour Class. Includes RoboBear Kit. Includes teddy bear, Arduino microcontroller, 2 servos, 2 arms, hugging and walking frame, wires, battery, battery connector, and RoboBear badge. *Most students already have these at home. 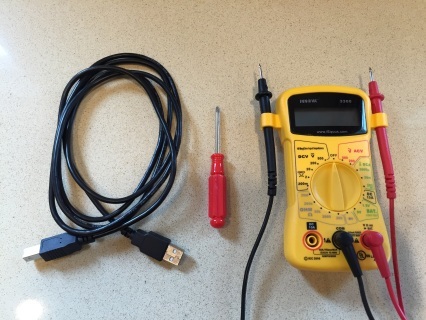 Includes USB cable (comes with printers at home), small screwdriver, multimeter (optional for testing voltage in battery). Learn how to build your very own RoboBear using the online RoboBear tutorial! 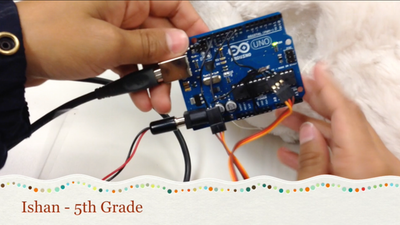 Learn how to build a hugging, walking RoboBear in class with a RoboBear Teacher! Learn how to build a Talking RoboBear! Students program RoboBear to record and play their voice! Includes advanced programming for simultaneous hugging and walking! *This class is now full. Please register for the next RoboBear Workshop on April 9th. 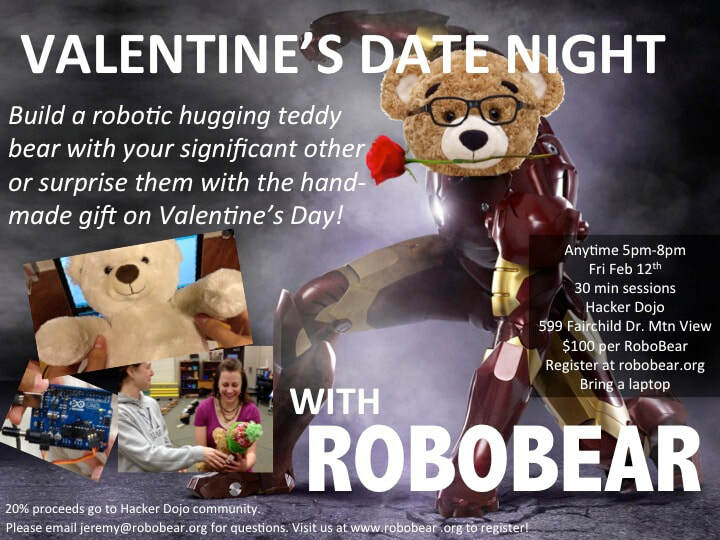 Build a robotic hugging teddy bear with your significant other or surprise them with the hand-made gift on Valentine's Day! *This class is now full. 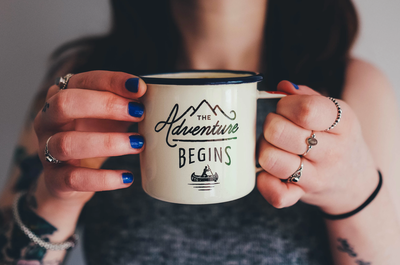 Please see our next workshop on March 12th!